Finally I Have Doubled My Forex Account, Now What's Next? Finally I Have Doubled My Forex Account, Now What’s Next? Maybe you have been trading Forex for a few years now… You’ve mastered your system and you have managed to double your account’s equity. Maybe you have found a good robot to use and have traded it consistently and profitably for the last few months (or years). Maybe you have a good trade copier service that you receive trades from and you have traded aggressively to this point. Fortunately the trade calls have been very good so far and you have doubled your money. Regardless of which path you may have taken, congratulations on profitable trading! Let me say that again, CONGRATULATIONS! It is no easy task to be successful trading Forex. If you have been around for any amount of time then you know the statistics that everyone says: 95% of traders fail to make money. While this is not a proven number it is likely to be near the truth. 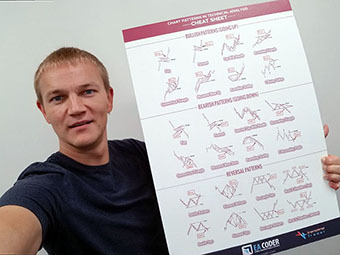 Successful Forex trading is incredibly difficult—it is one of the most difficult things on the planet to do. But why should I say this since you already know it to be a fact. No one that is successful in trading got there overnight. It is a long and difficult process most times. Now what I would like to share with you today are some ideas on what you can do now since achieving this great task of doubling your account size. 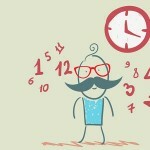 I have five ideas that I think might benefit you and that you should consider for moving forward. These ideas can help you secure the gains that you already have, enjoy life more, and/or increase the size of your future gains even faster. There is a basic principle in wealth building that if you start with $4000, you simply need to double it 8 times to get to $1,000,000. This sounds like a very simple principle, and it is. The more difficult thing, of course, is to actually carry it out consistently. This first idea is quite simple—continue on with your trading ‘as-is’ and increase your lot size proportionate to your new account balance. You may have been doing this all along if you used a %-risk asset management on all of your trades to-date. Maybe your goal is not a million dollars, and that’s fine. It all depends on what your goals are. Some people are just trading Forex in order to make a monthly income and pay the bills. This is a fine goal too. Do you know what the amount of money you need in your account to earn a full-time income? If you don’t know this number then perhaps you should find out. If it is $25,000 and your goal is to earn 10% per month, then you can earn a nice income of $2500 per month with such an account and 10% as a consistent return. However, if your goals are bigger and you would like to increase your account size to become a million dollars or two then you will want to consistently reinvest your profits for account equity growth. IMPORTANT: Remember how dangerous a thing greed can be. Never risk more on your account then you’re willing to lose. Also never risk more than what is safe according to your risk management strategies. Always remember the worst case scenario. There can always be times of drawdowns. After all, markets are unstable and unpredictable and no trader is perfect. Make sure that you are trading conservatively enough to prepare for the worst eventualities that could come along the way. This is a good approach if you respect risk management and have ‘preservation of capital’ as one of your most important goals. This approach can put you at ease and help you sleep better at night. 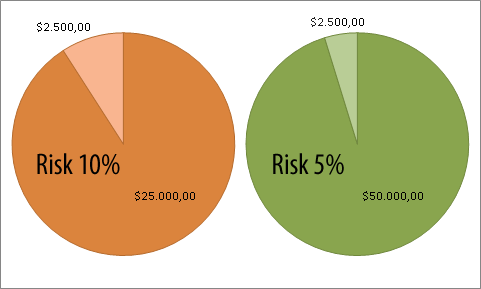 Knowing that each trade you take risks a smaller percentage of your overall account balance can be a very good feeling. This means that even when you lose on a trade or two at a time you are only losing an even smaller percentage of your account than before. With this approach you may feel more at liberty to take trades and be less likely to babysit them. It may free you up so that you can do some set-and-forget trading because you’re not worried about every little tick and each price movement affecting your profit/loss on the trade. Are you one of the types of traders who like to work hard and play hard? Do you want to have immediate gratification for the work that you have done and the gains that you have achieved? If so, then pull those profits out, pay the taxes on the gains, and take a trip around the world if you have earned enough money to do so! You started into trading in order to make a profit. You didn’t want to make a profit so you would have little pieces of paper with famous figures on them sitting around your house (money). In itself, you don’t want the money, but you do want the things that money can buy you. You want a sense of security that money can provide. You want to be able to pay your bills. You want to be able to go on vacations and buy nice things. You want to be able to give money away or you want to be able to take care of your family. These are all very nice things to think about and achieve. These are great goals to have, fueling your ambition for future Forex trading profits. Decide what this business means to you and what you’re going to do with the profit you make. It may help to have a plan upfront. If you have a good business plan or investing plan then you will know upfront what you’re going to do with the profit you make. Now this is something of a hybrid between number one and two. In this case, you’re taking some of the profits off the table so there is no chance of losing them in the future. Then at the same time you’re increasing your risk on each trade to correspond with the amount of money that you have gained and still have in your account. With this scenario you will be able to continue to grow, and at the same time you will be able to take some of your profits and use them for other purposes. You may wish to be very conservative and put them right into a savings account. You may also wish to go on a trip or give the money away or whenever you want to do with it. It is up to you, but this way you are continuing to grow your account at a faster pace than you did before. This might be the best of both worlds because you still have a chance to use some of your profits for other purposes. 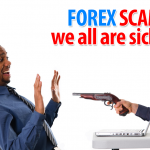 Earning an income from Forex trading is one of the primary goals that many traders have. It is certainly possible to earn a full time income from your trading efforts, but it is not as easy as first you may have thought. 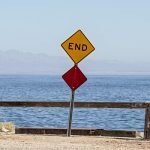 Even very successful fund managers will struggle from time to time and have losing months here and there. This approach of reinvesting a portion of your earnings can allow you to enjoy your profit and continue growing your account at the same time. This approach allows you to continue investing more and more money into your account which will allow you to accelerate your account growth. All of these options can do quite well for expanding your trading account in the years to come. You may try one of them out and decide that you would rather switch to another. Don’t feel like you’re locked into one way for the rest of time. Be flexible but also commit to your plan with discipline. Discipline will take you the furthest in the world of trading. Did you think we were finished? 😉 I’ve got one more idea for you that you might like quite well. Option number six could be to open a second account with some of your surplus profits. The amount really doesn’t matter too much. 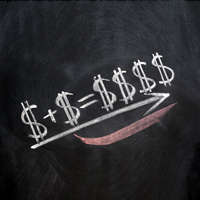 It could be all of the profits that you’ve made when doubling your account or it could be any portion thereof. Take this second account and link it together using a trade copier. I have developed specialized Forex trade copiers for this very purpose and have continued expanded its functionality the last couple of years. 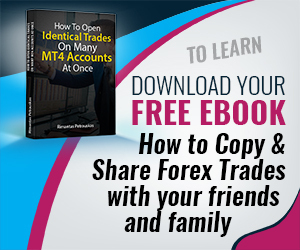 Once you have linked your trade copier between accounts you can begin trading your primary account as you always have and the trades will be copied automatically to your secondary/slave account. But why do this? On the secondary account you can set variable risk management options that will help you grow your account either more conservatively or more aggressively depending on your preference. For example, you might treat your secondary account as your high-risk growth account. You will program your trade copier to place each trade size in the slave account with twice the risk (or whatever amount you set) of the trade taken in your primary account. Adding on a second account like this will allow you to diversify your risk and allow you to protect one account while growing the other account more aggressively. What If I Am Trading REALLY Well And Have Even More Funds Available? You can take this last idea and use it to open up multiple accounts. You may wish to allocate a different amounts of risk per trade per account with some accounts being very conservative and others being very aggressive. You might also wish to trade only certain currencies in the different accounts—the choice is yours. 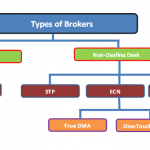 What If I Want To Diversify With Accounts From Multiple Brokers? This is a very excellent question as well. Part of a good, solid diversification plan can include opening up accounts with multiple Forex brokers. No Forex broker is perfect, we all know that, and some are better than others. 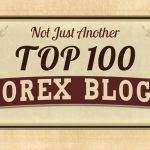 Depending on the country that you live in there might be advantages to having multiple Forex brokers to manage your money. 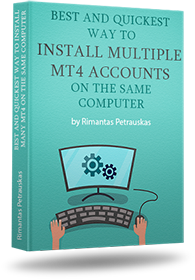 Using the MetaTrader 4 Local Trade Copier you can link your primary account to multiple slave accounts regardless of what broker the account is from. There is no restriction whatsoever in this way so long as all your platforms are running the MetaTrader 4 software platform. Now you have a boatload of ideas to run and implement. Carefully decide which is best for you, or which ones are best for you. 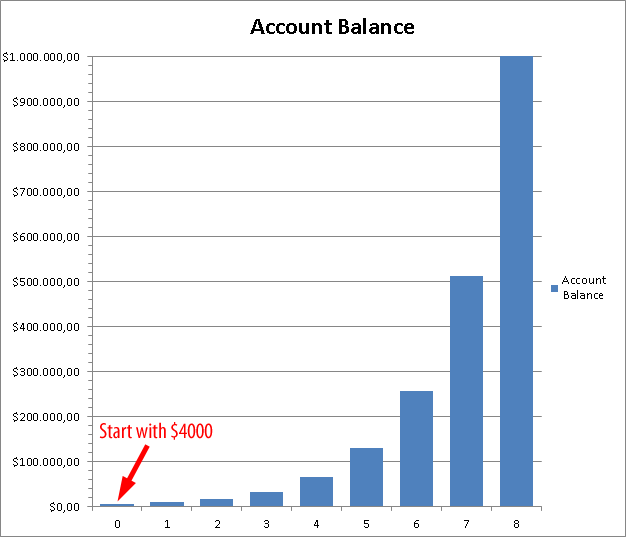 I wish you all the best with your trading success and remember that it takes doubling a $4,000 account just 8 times to reach a million-dollar account balance. It’s quite an exciting idea, isn’t it? You won’t be able to do it overnight, but with diligence and patience you can get there and be among the best traders in the world. Love the Money Management Tips….Thank You…. I use a combination of a 2-3 techniques to survive – but may home in on one now after viewing your logic ….. Your last idea to use your services for trade copier sounds great also. What a great chap you are -Thank you! Jen, thank you for kind words. I am glad you like it. Your ideas are worth sharing, but I believe you need to go out more and share. 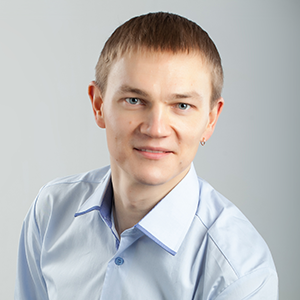 Like participate in forums and give value. Thank you David. I completely agree with you and I am learning everyday. Hi Great advice. Just started FX less than a month ago, Many losses. Do You also offer trainning/Mentorship?